You’ve heard of Davos, where the global intelligentsia gathers each January, but how about Boao? 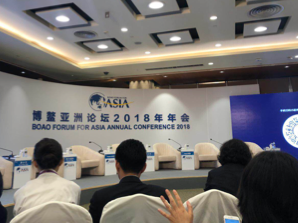 Each spring, this charming town on the southern Chinese island of Hainan hosts the Boao Forum for Asia (BFA), which brings together attendees from international political, business and academic circles. I had the pleasure of participating in my first BFA recently, and I enjoyed the chance to step back from the hum of daily life and reflect on some of the big ideas shaping our world. 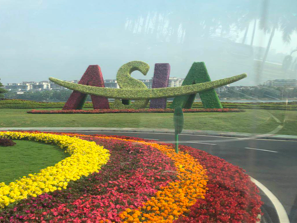 The economy is a central topic at the conference, and there was no shortage of talk about trade policy, the Belt and Road Initiative, and the impact of emerging technologies. Yet, one of the more interesting themes focused not on tech but on people and their role in the new economy. In particular, conference speakers highlighted the importance of valuing people, including people, and serving people at a personal level. The 2017 G20 Summit put the digital economy on the top of its agenda as one of the fundamental solutions & directions of the world economy. This term refers to the economic activity that results from the billions of online connections among people, businesses, devices and data. The scale of the digital economy is expanding, and its proportion of national GDPs is rising. In the U.S., the digital economy accounts for 58% of the GDP. In China, it accounts for 40% – a number that is growing. Futurist and Wired founder Kevin Kelly told the forum that the digital economy will be driven by robots, VR, artificial intelligence, IoT, blockchain and other new technologies. However one of Kelly’s most profound insights was also incredibly low-tech: the digital economy is nothing without people. Rather, it is simply a new economic system that embodies age-old human intelligence and behavior. For example, AI and cloud computing are extensions of intelligence needed for solving the problem of ‘what we should do.’ The Internet of Things realizes communications between humans and the world and settles the problem of ‘how to do.’ And, the robot is an extension of specific human behaviors. Kelly reminded conference-goers that amidst rapid innovation, humans remain superior at asking “why.” We continue to outperform machines when it comes to exploring, curating, inventing, innovating, and experiencing new things. SO WHAT? As we contemplate the 4th Industrial Revolution, smart leaders will remember that people– not machines– lie at the heart of the digital economy. For organizations, this reinforces the need to pursue a strategy of people-first innovation. Even amidst rapid automation, leaders must prioritize efforts to attract and retain the best people. Increasingly, this will include hiring those with the soft skills (e.g., curiosity, empathy, creativity) necessary to imagine a machine-aided society. And, formalizing ways to train and incent leaders at all levels to value human collaboration as much as technological proficiency. #2: INCLUDING PEOPLE: A MANDATE FOR “RADICAL INCLUSION"
The conference theme was “an open and innovative Asia,” and the related idea of inclusivity surfaced in many sessions. Several speakers reminded conference-goers that the application of new technology is unbalanced around the world and, in many cases, causes polarization and marginalization. This inspired me to think deeply about our collective responsibility to make sure the digital divide doesn’t leave large segments of the population behind. Israeli entrepreneur Yossi Vardi advocated for the need to change the idea that only government is responsible for solving these problems. He stressed that inclusive measures should be taken to allow all classes to join in and help marginalized groups gain access to resources as much as possible. The proceedings were peppered with specific examples, like Altimeter Capital partner Ram Parameswaran’s suggestion that providing internet access for the 5 billion people currently without it is the next blue ocean for Internet providers. SO WHAT? This insight about inclusivity highlights the opportunity for companies to add the lens of “tech equity” to their current sustainability efforts. Doing this would bring organizational focus to the ways tech innovation will change a business and invite action. For example, emerging technology will undoubtedly burst open the already wide income gap between skilled and unskilled workers, while also leaving many without viable employment options. This suggests a clear mandate to prioritize initiatives aimed at reskilling and up-skilling an organization’s workforce. It also beckons companies to look further afield to support efforts that ensure the next generation has the skills to thrive in the automated workplace of the future. The term “New Retail” was another one circulating often throughout the conference. For those less familiar, analysts use this moniker to refer to the use of technology, upgraded manufacturing, financial tools and data-backed logistics to reimagine the interplay between consumers, merchandise and the retail space. While technology powers the New Retail economy, presenters emphasized the fact that it is knowledge of people (otherwise known as customers) that will ensure success. In the New Retail world, products will be designed based on the analysis of customer behavior and created before people even realize they have a need. Hans-Paul Burkner from BCG noted that the key to this future retail landscape is to really know your customers and create an experience beyond just purchasing, which requires constant experimentation via data mining and analysis. SO WHAT? As I contemplate the “new retail” world, I am particularly interested in the ability to use data for mass personalization. How quickly can we move from leading companies that make products for the masses to leading companies that create a personalized offer for tomorrow based on what someone consumed yesterday? This critical path to success will emanate from a people-first approach. I greatly enjoyed the opportunity to meet, learn from, and exchange views with so many inspiring thinkers from around the globe. Among many other things I learned that: #1: People, not machines, will lie at the heart of the digital economy. We should shape our organizations to value the human in a high-tech world. #2: As we approach the 4th Industrial Revolution, companies can use the lens of “tech equity” to focus their sustainable business efforts, and #3: Tech innovation powers “new retail,” but success will go to the businesses that understand their customers at a personal level and tailor their offerings accordingly. I am energized by these insights from Boao, and I hope you will be also!